Looking for new summer sandals? Today’s your lucky day because we have 11 amazing (and affordable) options for you to enjoy! Go ahead, step up your shoe game without spending your end-of-the-summer-vacation savings! Embrace your bohemian side with these lace-up leather sandals. Leopard, leather, and studs—it doesn’t get much cooler than that! Your feet are sure to look super tan in these strappy white flats. 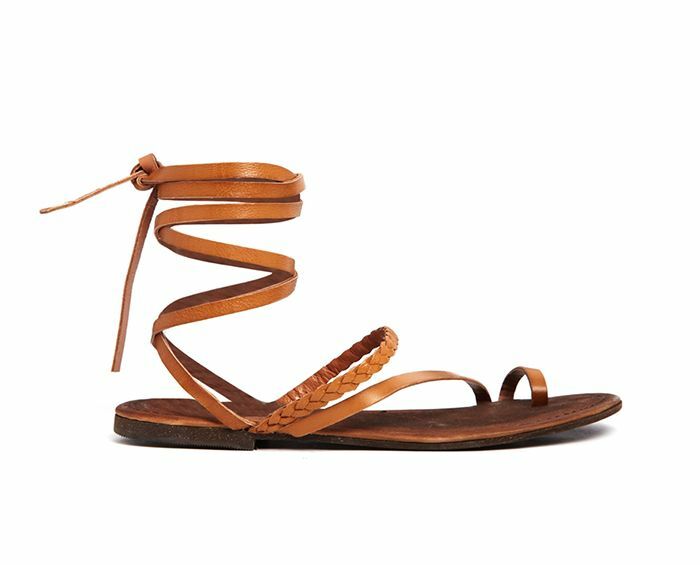 You’ll wear these sandals all summer long, we promise! Make this printed pair of flat sandals your next shoe purchase! Try styling these printed sandals with your favourite breezy summer dress. Style these strappy sandals with your favourite denim shorts and a bright cross-body bag. Slip-on sandals are just so convenient. These Zara sandals are a great day-to-night shoe option!